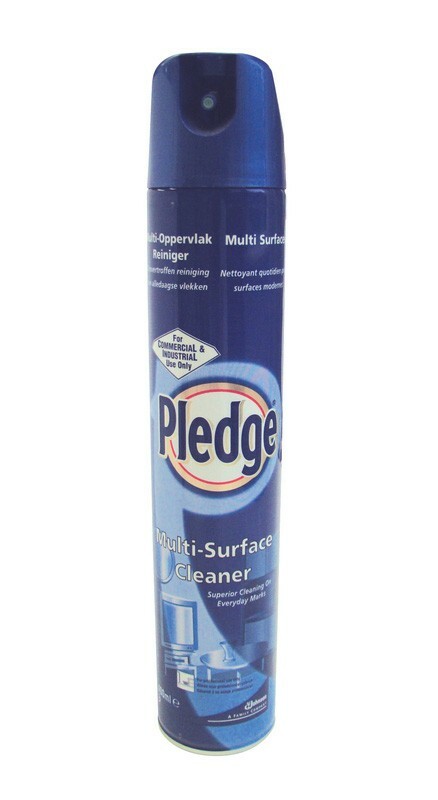 Pledge Professional Multi-Surface Cleaner provides superior cleaning on everyday marks. 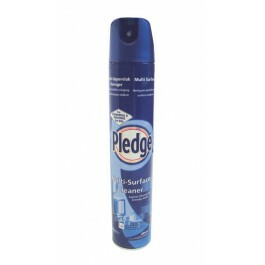 The polish contains anti-static agents for superior cleaning and dust removal on everyday marks. Ideal for use on televisons, computer screens, desks, tables, etc. Suitable for use on all modern surfaces, such as computer screens, televisions, hi-fi's, videos and all modern hard furniture. Shake can well before use. Spray onto the surface and wipe at once with a soft clean cloth. For small areas spray directly onto cloth and wipe.